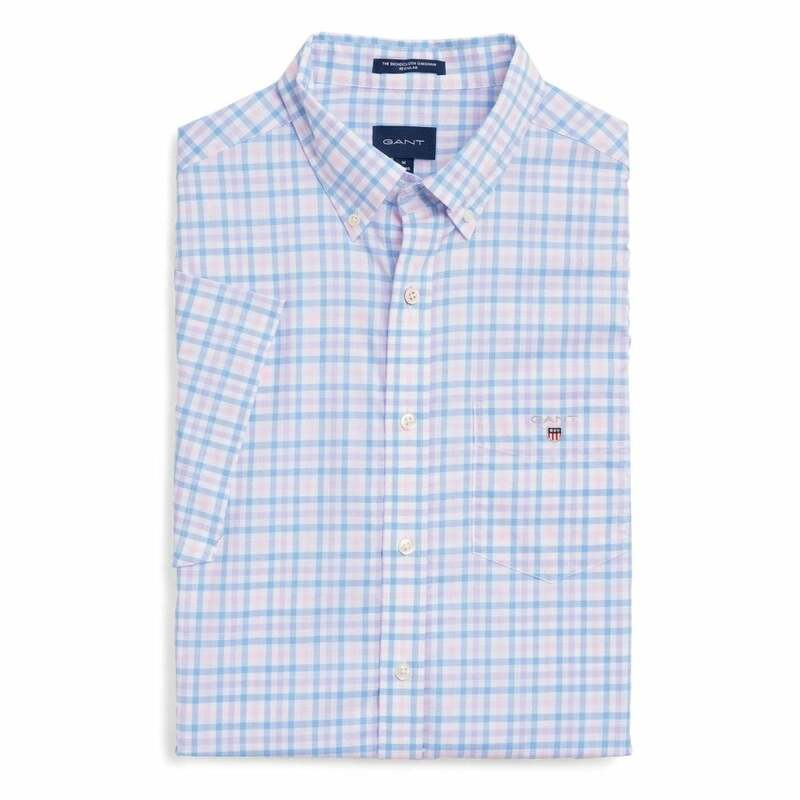 This regular fit Gant The B-Cloth 3 Column Gingham Check Shirt is 100% cotton and has an all-over blue and multicoloured check pattern. It has short sleeves, a full button down front and a regular button down collar. Gant branding appear embroidered on the chest.